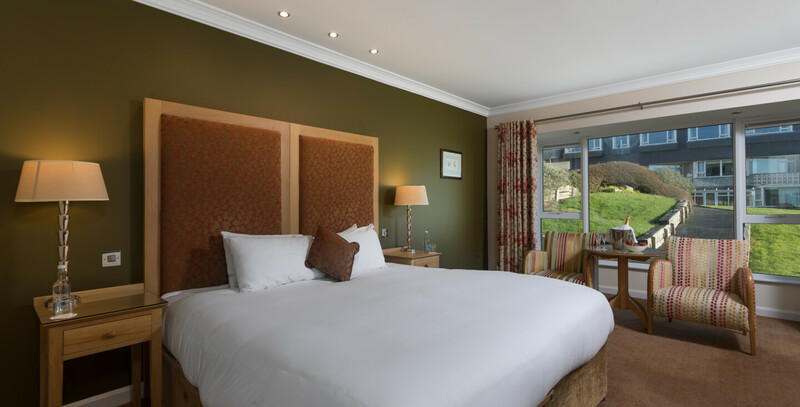 Decorated in a contemporary style using muted colours our family rooms in Galway measure 32 metres squared, offer crisp white linen, comfy pillows and cushioned mattresses. Our family rooms consist of a double bed, a single bed and a camp bed. Cots are available on request. With plasma TV’s, 24 hour room service, complimentary still and sparkling water, complimentary toiletries, tea and coffee making facilities you will be assured a relaxing breakaway. Tá an seomra 32 méadar cearnaithe agus dearadh le stíl comhaimseartha ag baint úsáid as dathanna ciúin. I ngach seomra teaghlaigh, tá leaba singil, leaba dúbailte agus leaba campa. Tá Cliabhán ar fáil in aisce más gá. Le teilifíseán plasma, uisce glan úr & earraí níocháin in aisce in ngach seomra, chomh maith le áiseanna tae & caife agus seirbhís seomraí ar fáil 24/7. Cur do dhá chois suas agus luí siar, mar is áit thar cionn é an óstan seo chun do scíth a ligean.